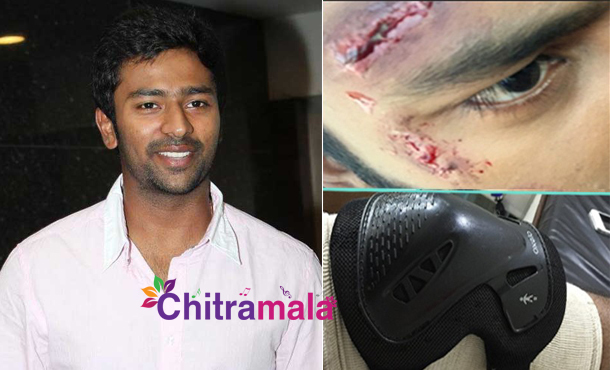 Senior actor turned director Bhagyaraj’s son Shantanu has reportedly got injured his head while shooting for his upcoming untitled film in Pollachi, Kerala. This unfortunate incident took place while shooting an action sequence without a dupe. Shantanu lost his balance and fell on the ground thus injuring his head and spraining his knee. He was immediatelytaken to the hospital where he was treated by doctors. They advised him to take rest for at least two weeks. “Doing Stunts w/out a Dupe,one helluva risky Job!! Experience&fun though#PollachiChalakudiFalls Shoot #UntitledFilm,” Shanthanu posted on his Facebook page from the hospital. Shanthanu made his acting debut as Hero with ‘Siddhu+2’. This untitled film is his second one. Recently, he married TV Anchor Keerthi, who was present at the shooting spot when the incident happened.